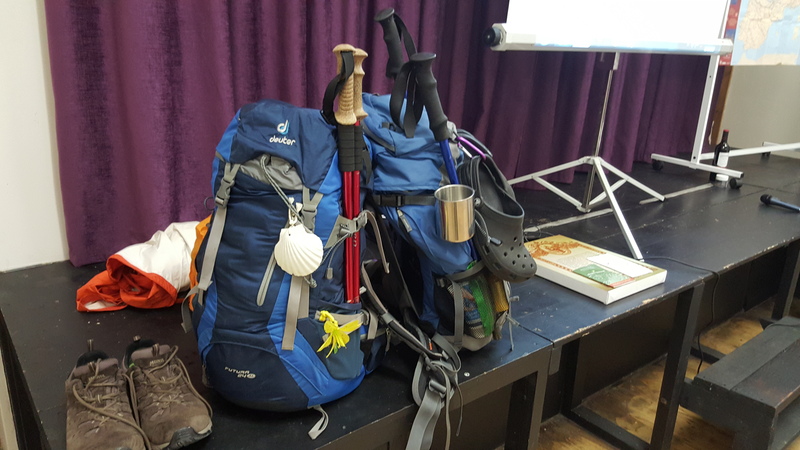 Camino de Santiago Talk, 12th September. So we completed our talk..and it was a tremendous success. 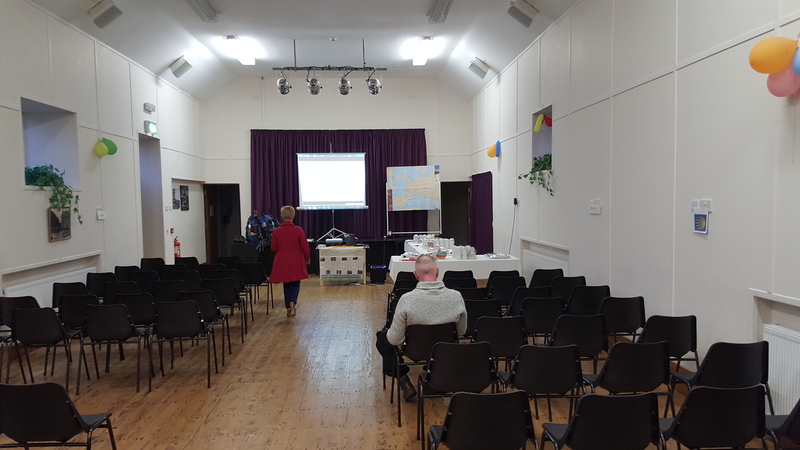 It was on Saturday night in Herbertstown Hall, Limerick and we had an attendance of 60 people from the locality. 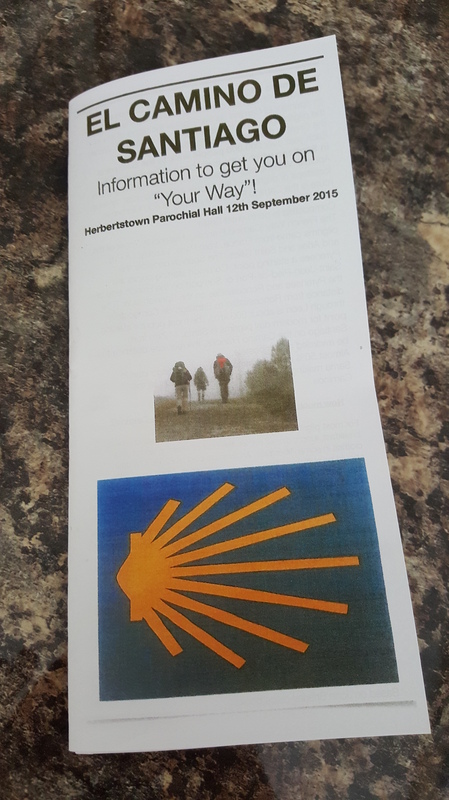 The advertising poster stated that those giving the talk were veteran pilgrims with the aim of passing on information to get people on “their way”. We received some good feedback at the end of the night and I would be eager to know if people do actually make their way to Spain as a result of our talk. Some people had walked from Sarria to Santiago previously with a tour group but wanted to return and walk another section. Why is the Camino so popular? Why do people walk the Camino? Giving facts and figures may not be high up on a prospective pilgrim’s list of required information, but it may be a deciding factor should you wish to walk in July or in November. Food tips – where to eat? Finally, the credencial and compostele was shown to the audience. 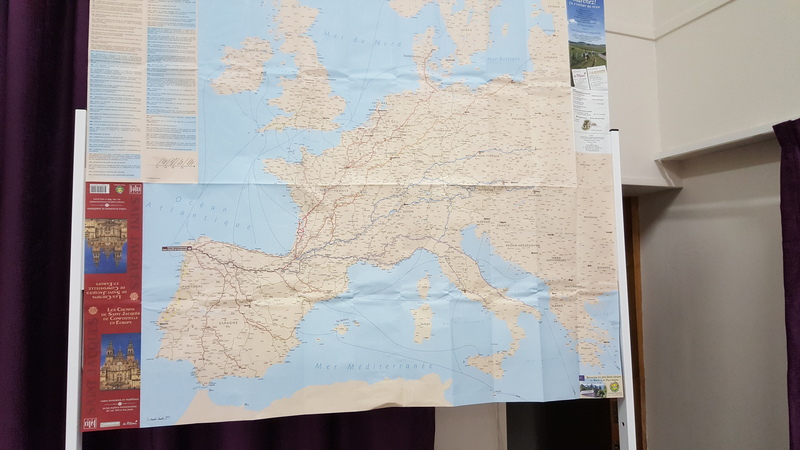 To finish up the evening, we were treated to a Camino story by Neil Horgan, a storyteller whom I met in Burgos 2013. He is a pleasure to listen to and his story gave the night a human element. We were treated to stories about the people he had met on his time in Spain in 2013. He had met all types of people from all over the world each with one goal..to walk to Santiago. Questions were taken by the three of us from the audience. Most of the questions were about accommodation – is there a need to book ahead? All three of us had walked numerous Caminos and only once could we not find a bed. While the option is there to book ahead, it was stressed that there is no need. New albergues open every season and if two are full, another one will have free beds. People like to book through tour operators to have “peace of mind” but doing so forces you to stick their plan. We discussed the option of having your backpack transported by services such as Jacotrans, should you need to do so. 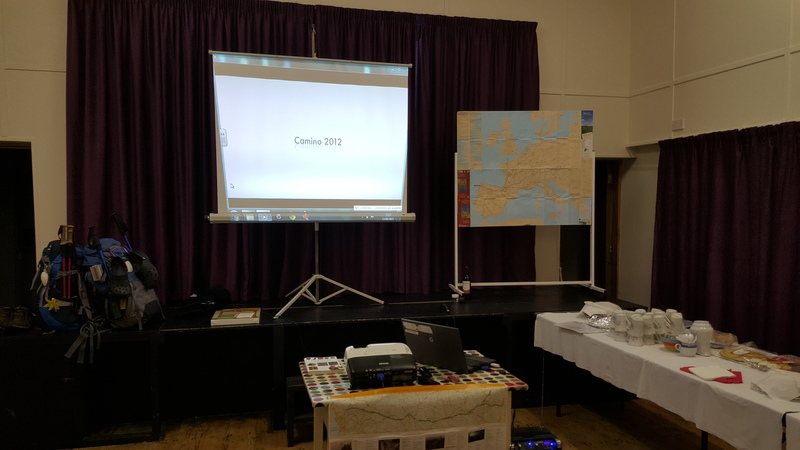 When the talk was over, we provided the audience with an information sheet with links, transport information and packing lists. It sounds like it was a really successful night! 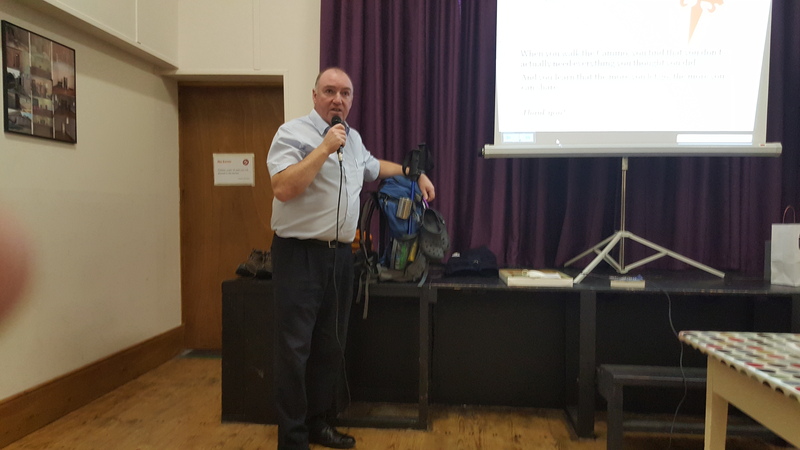 And good for you, for speaking to the crowd and sharing your Camino experience and knowledge. What a great opportunity! Thanks Nadine 🙂 The crowd seemed delighted to receive first hand information from pilgrims! Let’s hope it encourages them to take the next step.